I’m not a specialist on introverts, that is to say I haven’t studied them in depth. However, I am one. So, my advice comes from my own experience in losing a few people very dear to me and how I grieved each time a little differently. I also know first hand how grief is personal and individual as I watched my family each grieve in such different ways after my brother passed away. With that said, I did notice a few patterns that hold true through all these differences. 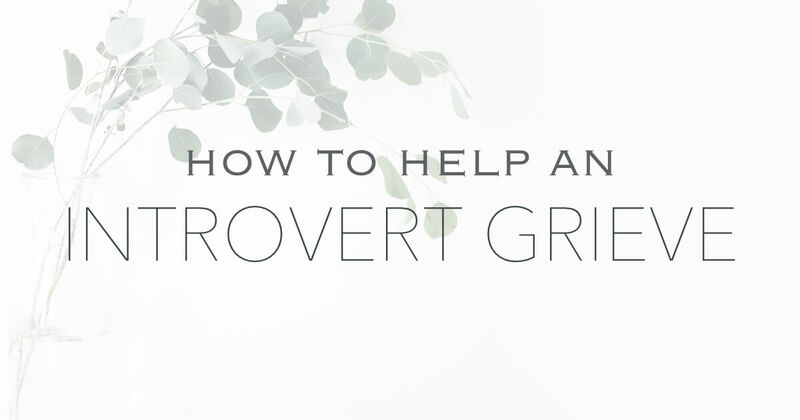 These patterns should help anyone who is grieving, introvert or extravert, but they are specifically focused on introverts and our natural tendencies. If you’ve lost someone dear to you or know someone who has lost a loved one, consider sharing this with their loved ones, especially if you know them to be an introvert. As you’re identifying introverts, keep in mind that they aren’t those super shy quiet people. They might be, but that’s not how you’ll identify them. It’s all about where they get their energy. Are they energized by being around others? If so, they’re an extravert. Are they energized by spending some time alone, then they’re an introvert. Introverts and extraverts can both be the life of the party. At the end of that party though are they energized (extravert) or exhausted and look forward to some time alone (introvert)? As an introvert we don’t usually open up without being prompted or asked. It’s not that we don’t want to share. Sometimes we do want to talk about it but it’s hard to open up and just start saying exactly how we feel. Other times we might not know exactly how we feel and being asked gives us an opportunity to explore our feelings through your questions. We will not likely feel comfortable or willing to open ourselves up to you unless we feel you truly care about us and we already have a relationship. We also will not likely open up in a big group setting, unless everyone in the group is someone that we know and trust. In general, you should try to find a time or space when you can ask your questions in a private safe location. Your question should be open ended. Allow them to interpret your question however they understand it. Ask them how they are. The sincerity in how you ask that will allow them to answer more than the typical “I’m good.” response. If they start that way you can give them a chance to think through the real answer by saying “yeah?”. You can also ask about a specific experience that you know might have been hard for them. When asked a question we sometimes need to think through the answer before we can say it. Introverts don’t respond as quickly as extraverts. Give us time to think and answer. Be comfortable with the silence. It’s most likely that whatever we say will be extremely sincere. Don’t try to fix or change how we feel or even talk. Just listen. Look us in the eyes every once in a while. Nod your head so we know you understand what we’re saying. Silently listen. Don’t interrupt. Ask questions about what we’ve said when appropriate. Most importantly, just continue to listen. Allow the silence to be a comforting blanket to you both. If you have a question during the silence ask it but don’t force a question. It’s likely that whatever we’ve just said is being replayed in our head and we will have additional thoughts in a moment. Be comfortable with the silence. By your allowing the silence you’re giving us time to think and fully express ourselves. We will feel heard and understood. This leads to healing. As introverts we think through things in our heads before we ever say them. But grief is so complex, so multifaceted, and layered that it’s hard to process so much. Encourage us to write down our thoughts, fears, hopes, wishes, and our memories of our loved one. Help us to find a safe place to write and to explore what we think and feel. A plain journal is a good first step. A guided grief journal is even better as it will prompt thought provoking questions and guide us in processing our grief. It can be hard to find the right time and place to be able to talk with your loved one. Also, it can be hard for some introverts to open up to others about something so deeply felt and painful. It is safer for us to write it down. Writing is a way to work through our grief and to understand it. This is true for many people, particularly introverts. As introverts we probably won’t immediately open up about our grief unless you ask. When asked in the right way it can be a healing process to talk to you about the pain we feel, the questions we have, and the doubts that plague us. Writing is another very helpful way to work through our grief in a healing way. Both ways will allow us to get our thoughts out and figure out how we feel. This is the first step to healing. It is my sincerest hope that you can use these tips to not only help your loved one grieve but that your relationship can grow closer together by being there for them during this difficult time. 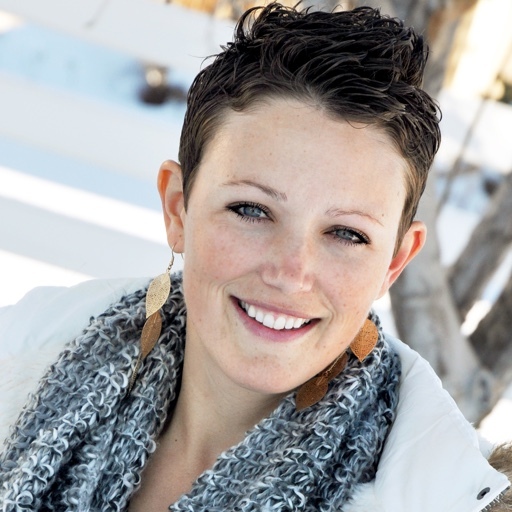 Lauralee is a web designer and developer who designed and built all the pages you see on Memorates. In some of her best moments she is a wife, mother, daughter, sister, and friend. She is doing her very best to live a good and meaningful life.